I’m obsessed with everything BTS does. Here’s how to emulate their world tour-worthy outfits for yourself. 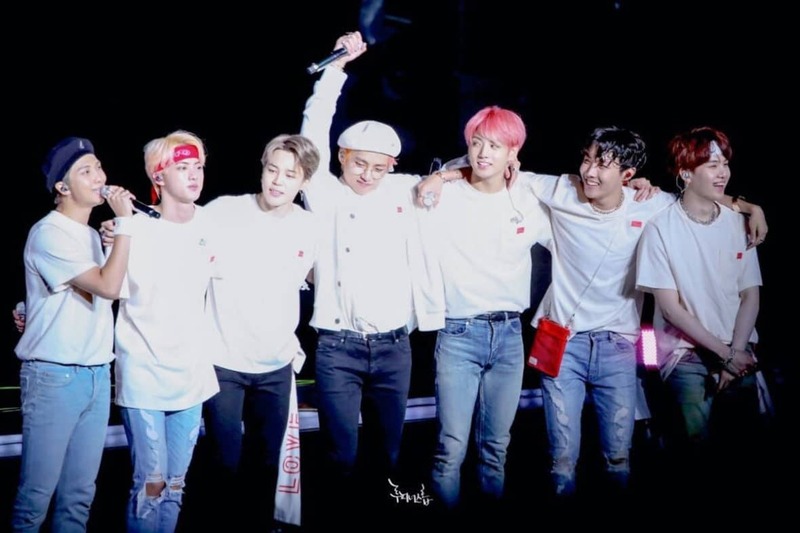 On January 26th, K-pop boyband BTS released their first feature-length concert movie, BTS World Tour: Love Yourself in Seoul. Naturally, ARMYs flocked to cinemas across the world to witness the band’s critically-acclaimed concert series on the silver screen. This movie isn’t BTS’s first foray into the film industry: 2018’s biopic Burn the Stage broke the record previously held by One Direction’s 2014 Where We Are, debuting to 1.4 million admissions its opening weekend. Basically, BTS are a big deal, and their flawlessly co-ordinated looks are a fantastic source of fashion inspiration. It’s college ball season here in Ireland, which means that I’ve spent the past few weeks browsing the web incessantly in an attempt to find an Oscar-worthy dress on a student budget. So, given that I’ve got long gowns on the brain, I had to allow BTS’s high-end fashion choices to influence my formal wear. Here’s a military-inspired gown paired with glam gold accessories, perfect for your next formal event. 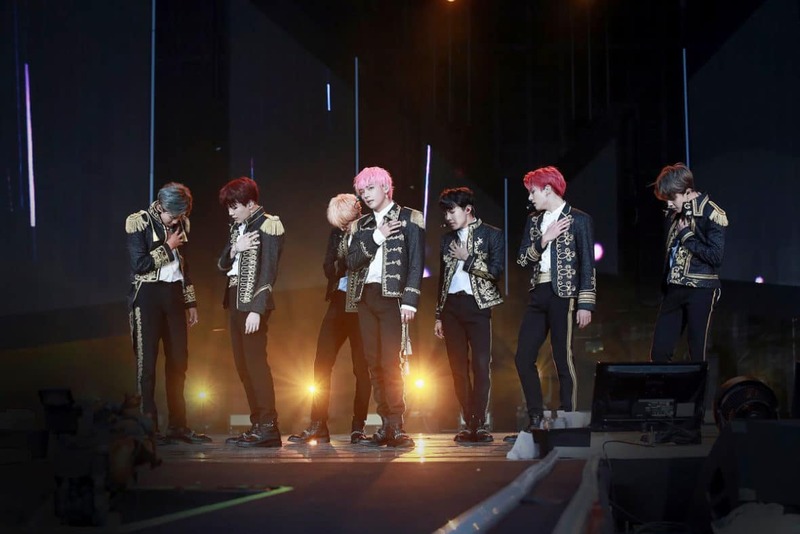 BTS’s 2018 hit Fake Love is a powerful, angst-filled addition to their concert setlist. 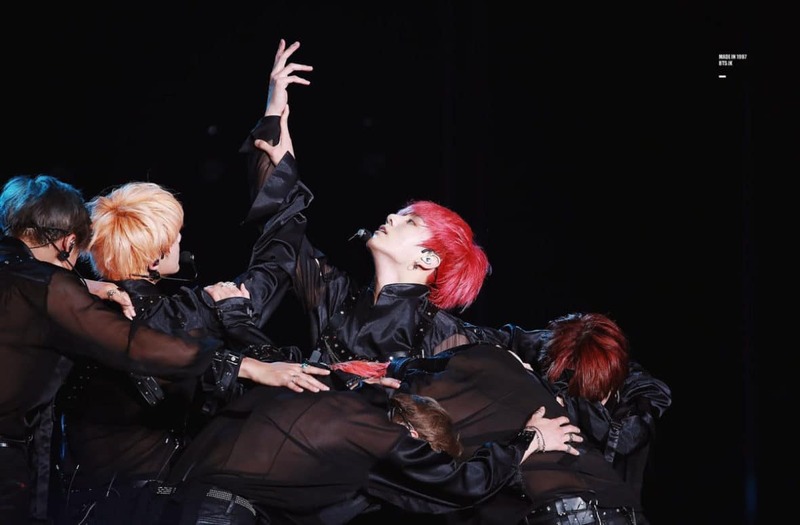 In the film, the boys deliver an unforgettable performance in all-black outfits featuring sheer shirts and leather harnesses, as seen here on youngest member Jungkook (center). For this Fake Love-inspired look, I decided that a girl’s night out ensemble would best reflect the concept. After all, Fake Love is all about trying to get over a toxic ex, and what better way to get over a relationship than by going out with your best girlfriends? The harness-detail bralette echoes the various leather harnesses BTS wear during their sets, and the silver accessories represent the stud details in their outfits. Towards the close of their show, we see BTS perform their fan-favorite, feel good track Anpanman. Appearing on stage in simple white t-shirts and blue jeans, the guys look comfortable and care-free as they interact with their adoring audience. Anpanman is an uplifting song about being your own superhero. Given this, I wanted the clothes in this look to reflect the track’s core message. This positive slogan t-shirt reaffirms the song’s idea of the ‘new generation’ being the superheroes of our time. 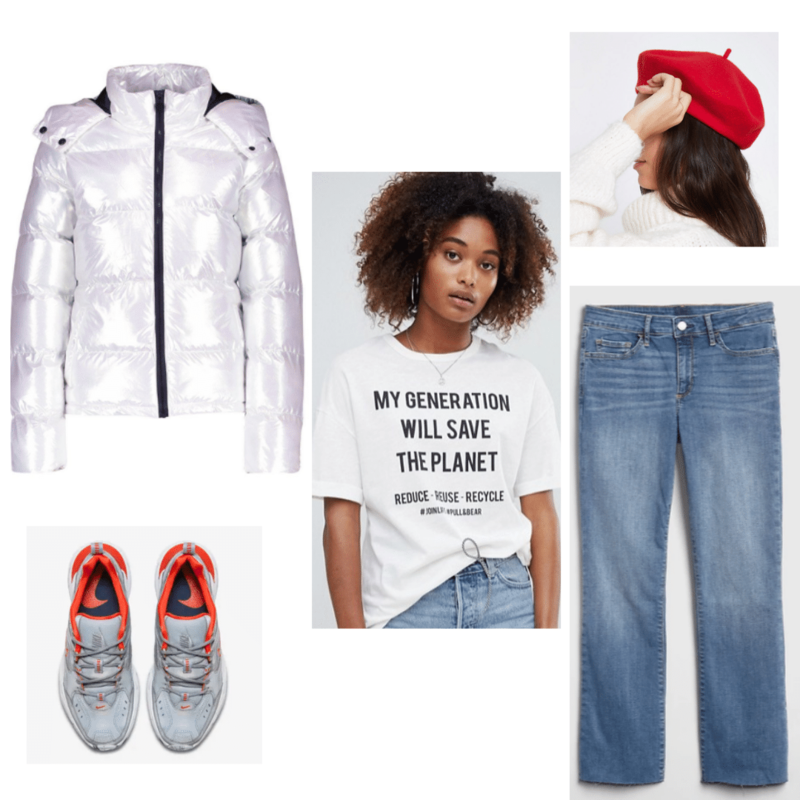 Dedicated fans will also recognize the puffer jacket included here as being similar to the one Jimin wore in a recent performance of Anpanman (see video above). Which of these BTS outfits did you like the most? Did you see the movie last weekend or did you somehow manage to nab tickets to the actual Love Yourself tour? Sound off in the comments below, and let me know which BTS member’s personal style you would like to see covered next!